The most beautiful place to have your wedding and reception! 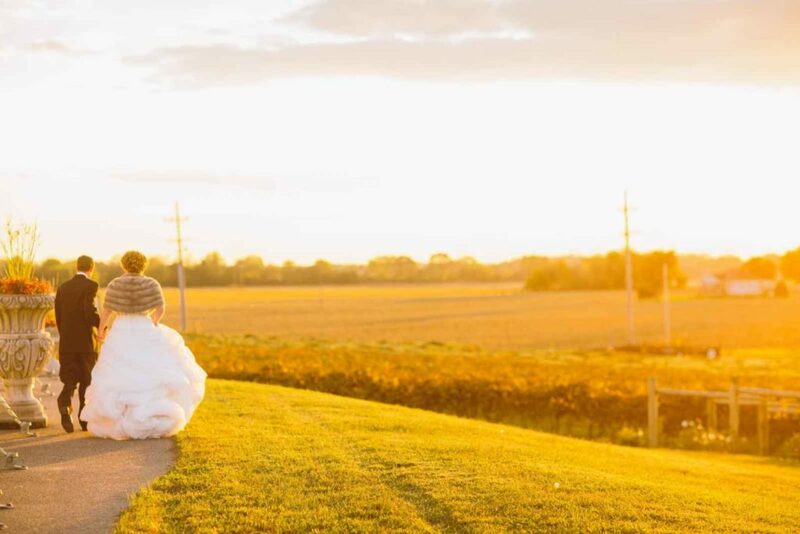 Serenely located in southern Indiana along the White River, Chateau de Pique Winery · Brewery · Wedding Event Center is an incomparable wedding venue that brings together the best of Southern Indiana’s many appealing elements. With the majestic wedding arch and rolling hills as a backdrop for your ceremony, the fairy tale wedding of your imagination can come to life. The Banquet Tent at Chateau de Pique can easily accommodate 450 to 500 people. 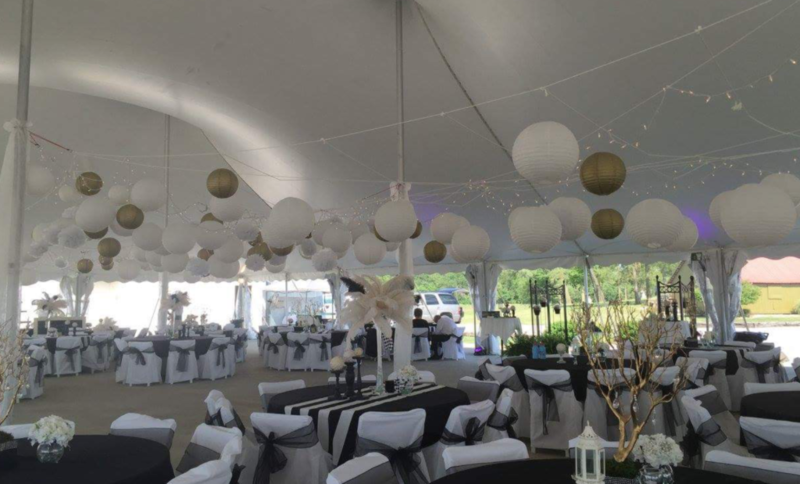 After the ceremony, your loved ones can enjoy the ambiance of the vineyard and celebrate this wonderful occasion underneath the large outdoor banquet tent. The facility can comfortably accommodate up to 450 people. Many caterers, planners, and decorators have worked with Chateau de Pique over the years to design weddings that dazzle and wow guests and participants. The Barn Loft Wedding Chapel at Chateau de Pique. 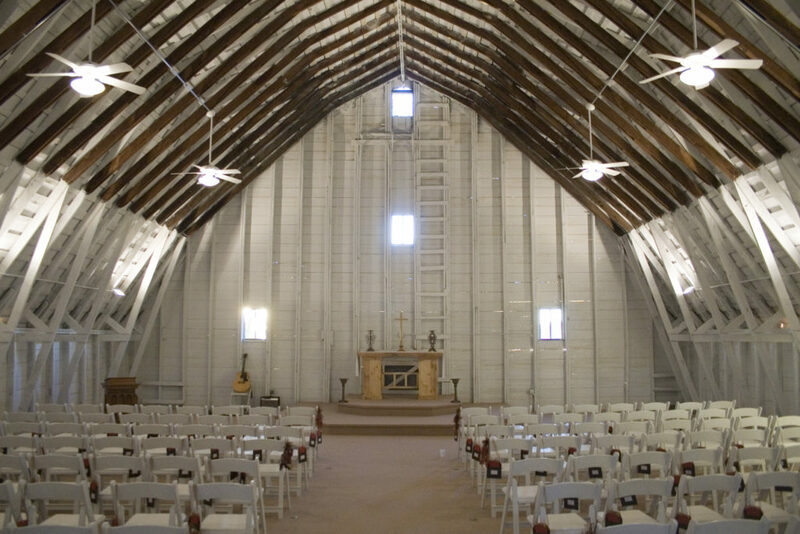 And for those looking to have their ceremony indoors, Chateau de Pique has a rustic and unique wedding chapel in the upper loft of the main barn on the property. Contact Chateau de Pique today to inquire about date availability!